Last year my friend brought me a honeysuckle plant at the end of the planting season. 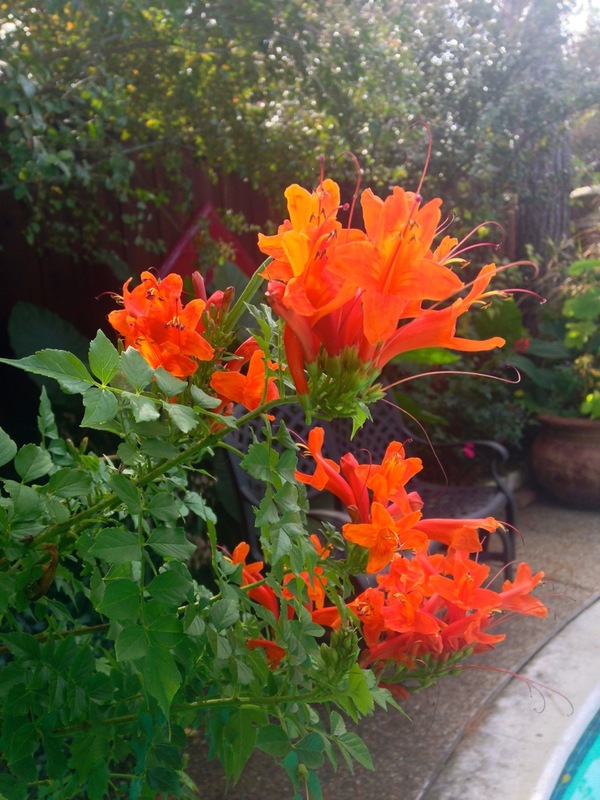 This variety of honeysuckle is a tender perennial for North Texas, so we brought it in over the winter. All summer I waited for it to bloom. About a month ago it started blooming non-stop and now in the middle of November, it is still absolutely gorgeous. You can see it from every window of our house. Thank you so much ! !